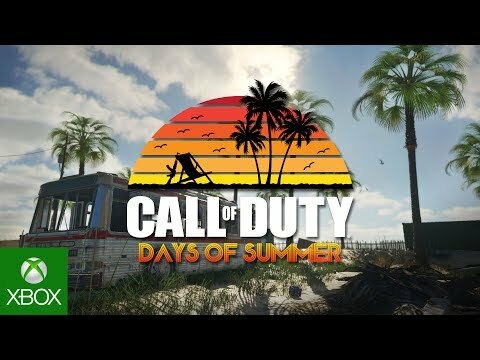 Call of Duty "Days of Summer" Active Now! "Lots of CoD goodness all round!" Players of both Call of Duty: Infinite Warfare, Modern Warfare: Remastered and Black Ops III can now enjoy five weeks of the new "Days of Summer" event. Starting right now, Infinite Warfare and Modern Warfare players can get free access to themed maps, special playlists, new gear, weapon camos, in-game events, and much more! And then on July 11th, Call of Duty: Black Ops III players can also reap the free content as well. The "Days of Summer" event ends August 1st, 2017.